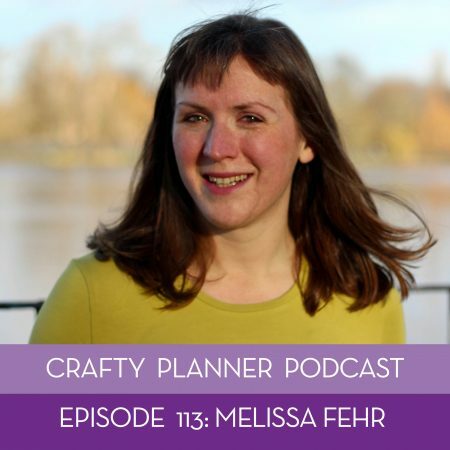 I’m on the Crafty Planner podcast! 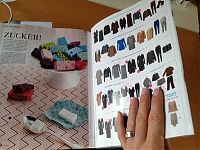 Recently I had the opportunity to chat with the lovely Sandi from the Crafty Planner podcast and we had SO. MUCH. FUN! It turned out that with her based in San Diego and me in London, the hardest part of the whole process was finding a time that worked in both our time zones – after that the conversation just flowed, and I think you’ll really enjoy listening! 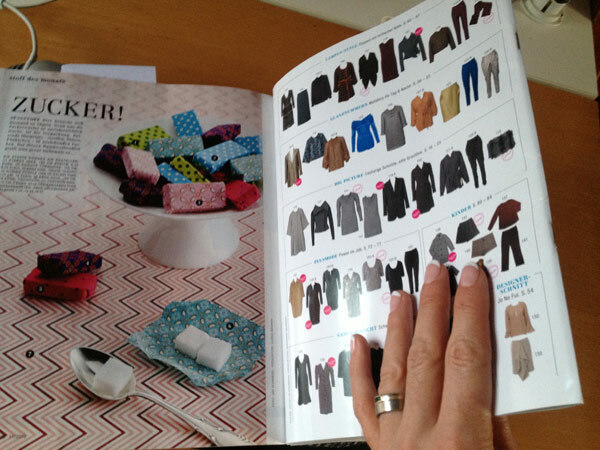 In this episode, we chatted about sewing (activewear in particular! ), my recent Threads article, my running and competing at the World Transplant Games, some of my top tips for first-time activewear sewings, and (of course!) my upcoming book, too. Since I cycle commute to my office job these days, I listen to the bulk of my podcasts while in my sewing room, and my last job was actually at a podcasting company, so I think it’s safe to say that I’m a big fan of them, and Sandi’s in particular! I’m in the German edition of Burda Style magazine this month! I’m so excited!! See? 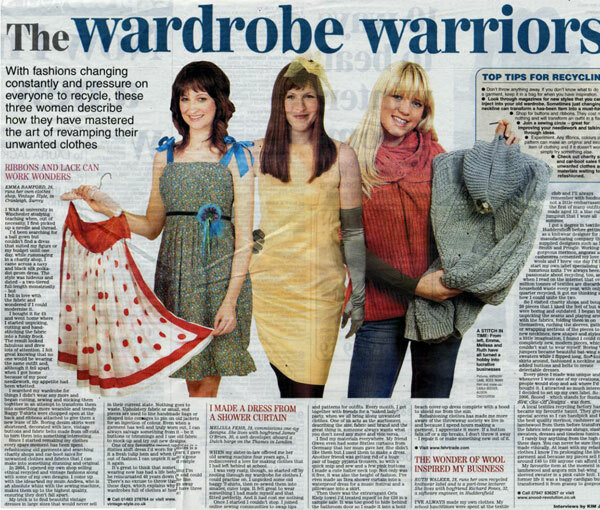 There I am right in the middle, along with the quote “I was immediately entranced by the draping”! 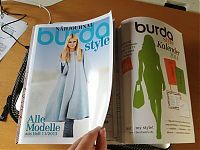 Someone at Burda HQ dropped me an email months ago asking if they could have some hi-res versions of my pale pink twist dress photos to use in the magazine, but it was so long ago that I’d assumed they dropped the feature or something. But no, a German edition of the fabulous November issue appeared in my postbox on Friday! I had already scanned my subscription English edition for my review (going live tomorrow – it’s worth waiting for, I promise! 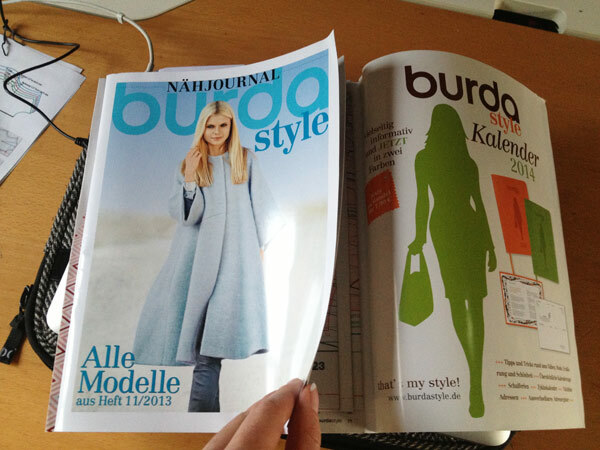 ), so I flipped through the German version to see what differences there were. 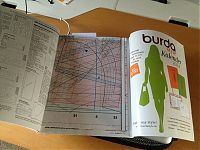 The first thing I noticed is that it’s a heftier magazine, and there are ads in it, along with more editorial pieces (like a feature on a Philadelphian artist), more fashion spreads (like this season’s ankle boots), and that all the pattern instructions and pattern sheets were pushed to the back, and in their own separate magazine! 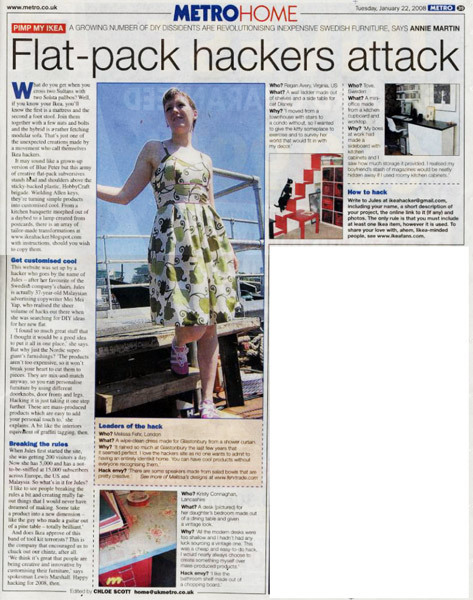 I’ve been featured in quite a few press clippings before, but I must say, to appear in my favourite magazine is extra exciting! 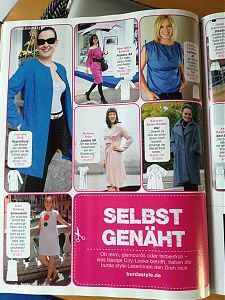 The German edition of Burda magazine (named “Burdamodenmagazine” there and “Burda World of Fashion” here) runs a monthly special feature on creations made from Burda Style patterns, and months ago I was asked if I could send over some bigger photos of my trousers and vest combo for inclusion in the magazine! We ended up having a new photoshoot to get some better (and bigger) images, and the end result has finally been published in the September 2008 issue!! Greetings Metro readers! No, this morning’s vision of a woman clad only in an Ikea shower curtain was not some hallucination brought on my last night’s curry and an early morning commute – it really was me! You can read the < a> but the lovely photos are only in the print edition.